We’re going to see a significant shift away from wide open floor plans to open “areas” separated by groups or departments. There are ways by which a space can be designed to be open, but at the same time not look like the world’s largest trading floor. You can have open plan “clusters” of 40-50 people within a space, as opposed to hyper densification of 300-400 in one area. The ideas is that you walk into a space, and in place of a sea of sit-stand desk, you walk up a central staircase to a floor that has 4-5 areas separated by line of sight that house separate departments. When walking the space, it’s almost as if you are discovering hidden areas. The key to this type of space is that the feel is still very open, without the distractions associated with densifying a space with hundreds of tightly configured desks. Reconstituted wood will be replaced by natural woods, laminates and lots of metal and glass. I always thought that the distressed wood was nice if selectively used in spaces. Over use it at your own risk of looking dated in a few years. You will see a revolt against what have become very linear spaces. You will see desks aligned in organic configurations, very often in dog bone shaped clusters. These create more fluid looking spaces and outwardly reflect a less rigid workplace culture that encourages the free flow of ideas and people. The way they are laid out also encourages people to flow into areas that they normally would not, perhaps making new friends, and collaborating with people they would not have. 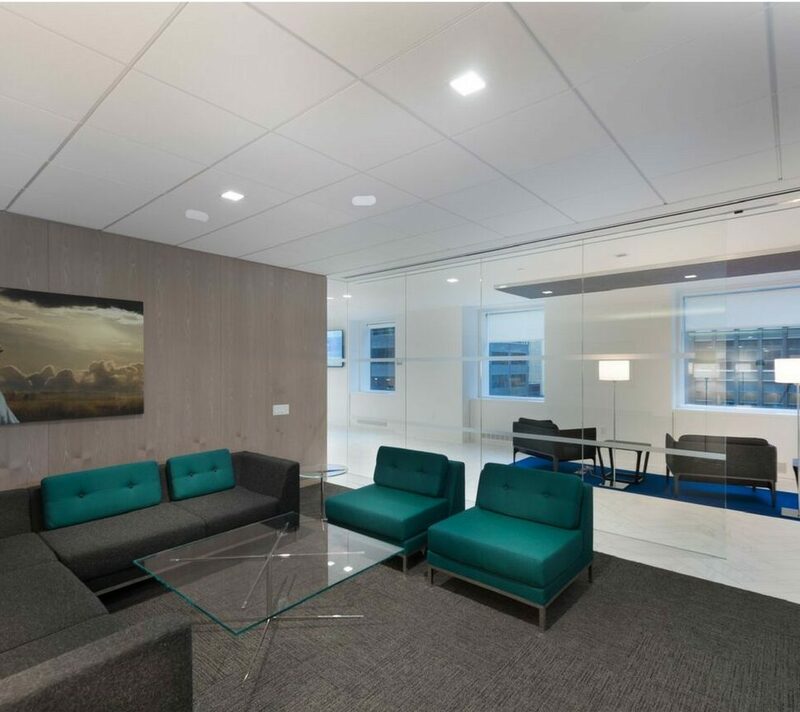 Interspersed throughout are strategically placed round meeting tables, pantries, and inviting looking lounge areas for spontaneous meetings. 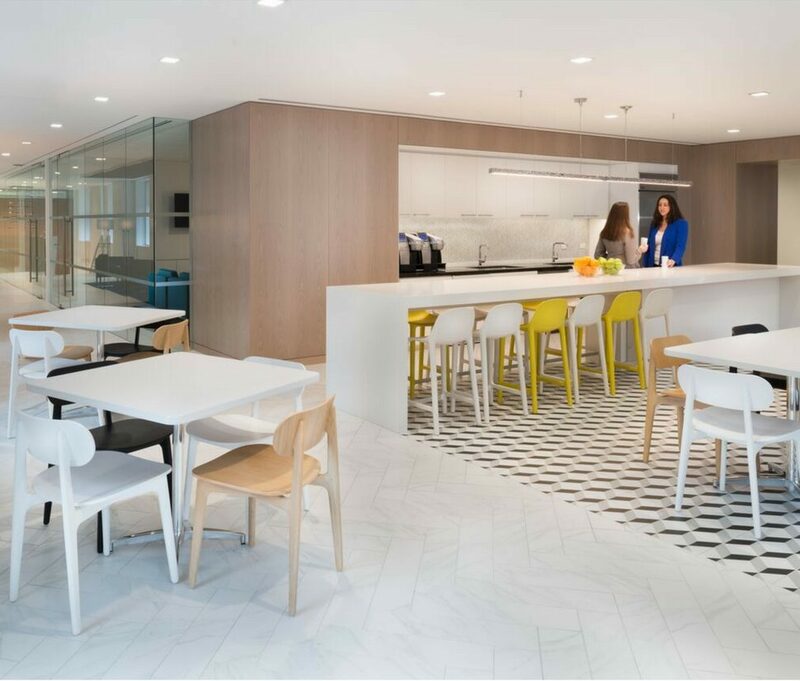 We’ll see companies foster a much more relaxed and open dialogue through the choices they make with workplace design. Personally, I’m a huge fan of companies hosting visitors out in the open and with coffee in hand. It’s amazing how quickly people will loosen up over a cup of coffee, on a stool height counter, or relaxing on a couch. Contrast that to the way you feel when you are immediately escorted into a sterile conference room with leather chairs. This article originally appeared on Allwork.Space. To read the full article please visit here.